MSI France Implants Cylindric Implants are Titanium parallel type Implants, with an internal hexagon connection. They are designed for both single-stage or double-stage procedures. 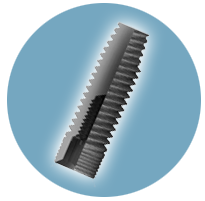 The Cylindric implant has a unique wide-thread design as well as tapered threads at the apical part. • provide secure primary fixation. • The Cylindric implant has a wide range of restoration parts. 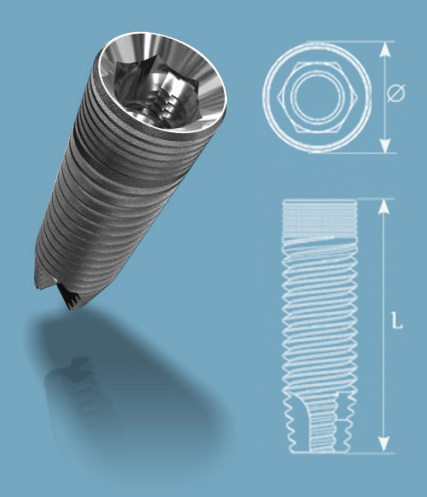 • The Cylindric implant is suitable for double-stage implant procedures. • The Cylindric implant has a special wide thread design with three cutting. 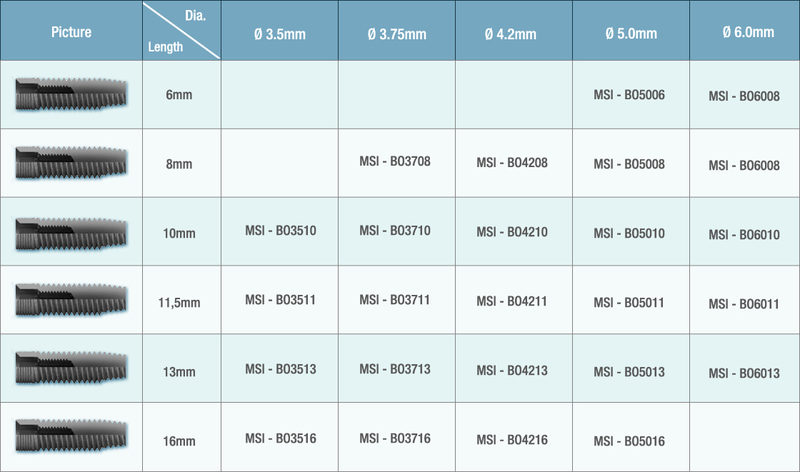 • The Cylindric implants is available in 3.75, 4.2, 5 and 6mm diameters and lengths of 6,7,8,10,11.5,13 and 16mm. The surface roughness and microgeometry of commercially pure titanium grade 5 are achieved by sand blasting and acid etching. 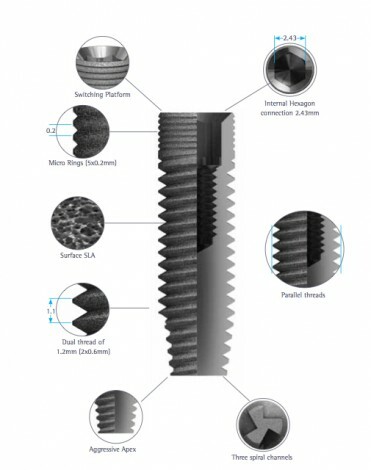 Blasted surfaces demonstrate more bone-to-implant surface contact, compared to machined surfaces. Self-Tapping : The three cutting flutes are designed to engage the bone immediately during placement and ensure multidirectional locking. The tapping head cuts into the bone with far less friction due to the relief design of the cutting edge. Cylindric Implants are Titanium parallel type Implants, with an internal hexagon connection.